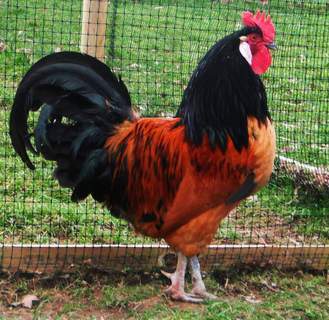 The Vorwerk originates from Hamburg, Germany around 1900 and was developed by the German breeder Oskar Vorwerk who gave his name to the breed. He developed them as good utility birds with belted markings combined with buff feathering rather than white. They were first shown in 1912 and are thought to have come from Lakenvelders, Orpingtons, Ramelslohers and Andalusians. The breed is rare and was almost lost after the Second World War. They are powerful and compact birds with broad backs, and a deep, rounded breast. The head is broad and the face well feathered. 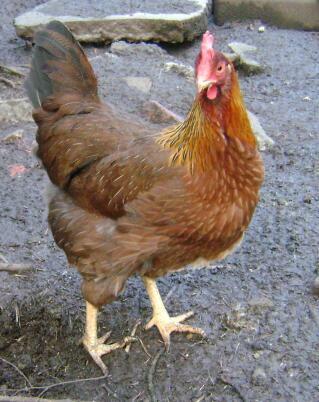 They have a single, medium sized serrated comb, medium length wattles and small white earlobes. 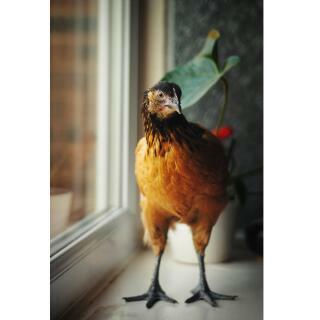 Their plumage is soft and glossy, the legs are slate blue and they have four toes. 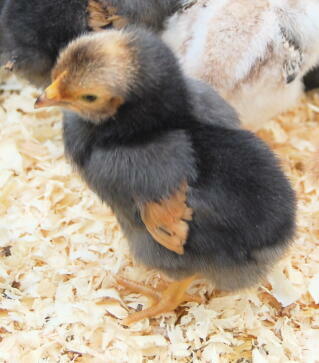 There is also a bantam version. 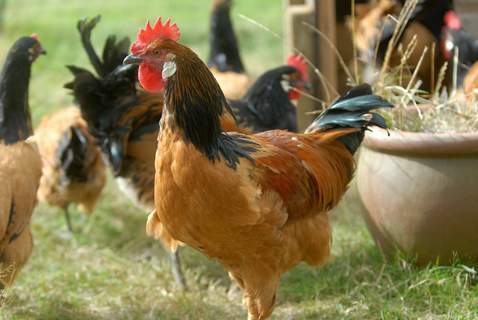 They are very good at foraging for food and make excellent birds for farmyards and smallholdings. They are happy free ranging but don’t mind being confined in a run at all. They are alert, busy birds with fairly small appetites and chicks are fast growers which mature quickly. However, they are good fliers and can fly around 2 metres so adequate fencing should be provided. 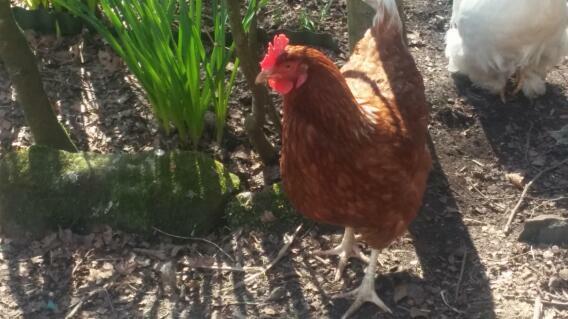 The hens lay a good number of white-shelled eggs and will continue to lay throughout the winter. They are easy to tame and are not at all shy. The males are tolerant of each other and you can keep more than one cockerel. The breed is only found in one colour which has black belted markings on a buff coloured body. This takes a while to develop and is often only complete after the third moult. 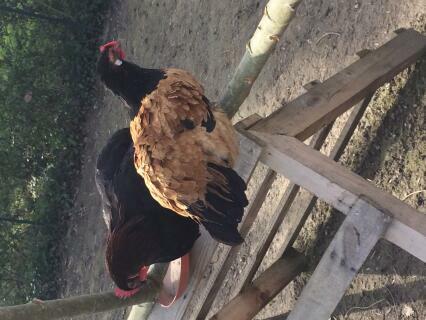 I have three Vorwerk hens, now about a year old. They are characters. Hardy, busy and very thick feathers. They love to dust bathe in our raised beds and have about a quarter of an acre of garden to roam around which they love to do. They are very active birds and alert. Friendly and will walk up to me but not let me get very near. A job to catch. Up to now only two escapes over and through a fence. Thought maybe I would need to clip their wings but I have not done so and so far everything okay. They do scratch up lots of areas under shrubs in the garden but also make great weeders. They lay well, nearly three eggs every 24+ hours. They are fed organic pellets and corn in the afternoons. Love them. 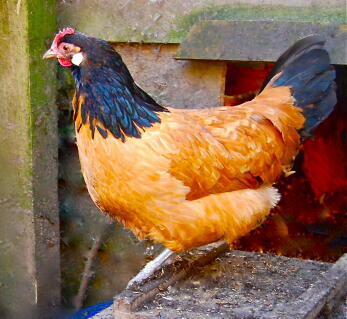 I have one cockerel and nine hens - all around 18 months. Find this breed to be fantastic. First saw Vorwerks at a country show around two years ago and fell in love. 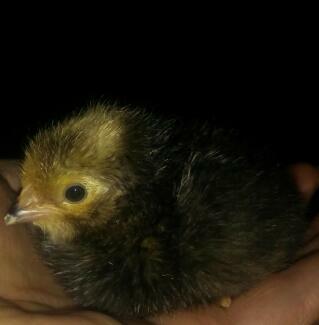 A friend gave me some hatching eggs and I ended up with one Vorwerk chick - a cockerel! 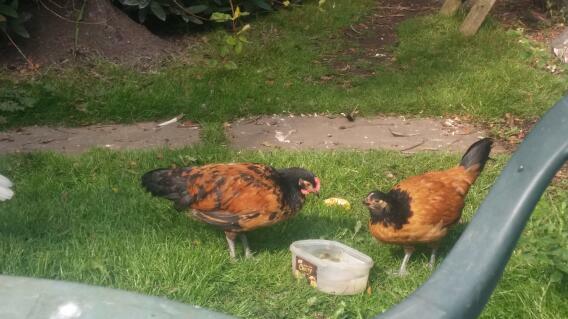 I then had three hens and brought in more unrelated birds. 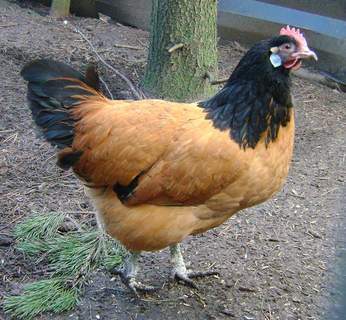 Love Vorwerks for their personalities, unaggressive males, lovely eggs and the fact they are beautiful. I JUST HATCHED TWO VORWERK CHICKS FROM 7 EGGS. SO LOOKING FORWARD TO RAISING THESE BEAUTIFUL BIRDS. ISO MORE HATCHING EGGS. They are good strong tufty birds.